From different calcareous vineyards in Schweigen, Rechtenbach and Leinsweiler?all Southern Pfalz?the 2013 Spatburgunder offers a clear and refreshing bouquet with a very delicate Pinot aroma of red berries and cherries, along with some spicy and flinty flavors. 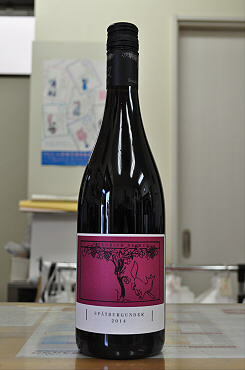 Medium-bodied, this is a very elegant and silky textured Pinot with a refreshing grip of the tannins. This is still a bit reductive, so it should be decanted. Bottled in early 2015.